Over 500 episodes will be streamed over a seven-week period in this special shared-viewing event. Today, Twitch announced that it is teaming up with BBC Studios for the first-ever digital broadcasting event for Doctor Who, which will be airing on six-to-seven-hour blocks daily. 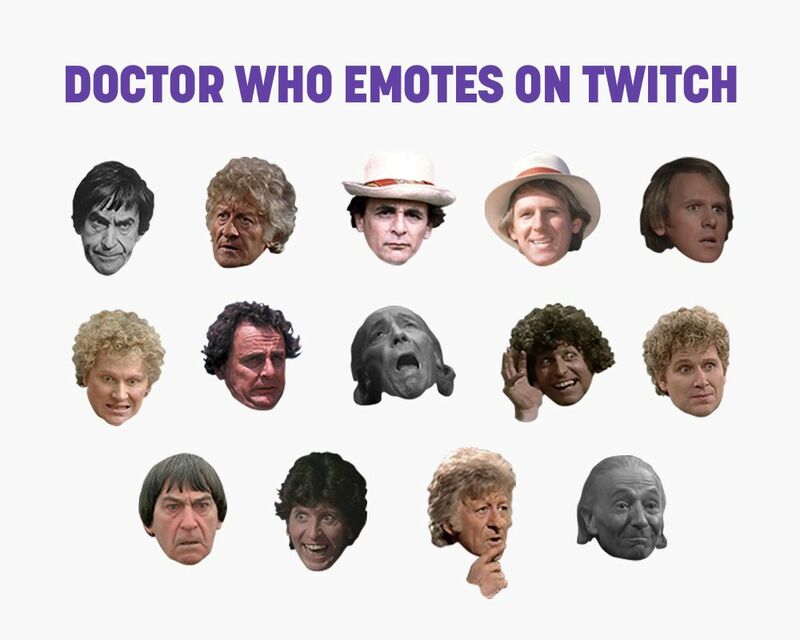 Also, new Whovian emotes will be available to viewers. This event will revive the Doctor Who series by taking advantage of a real-time shared viewing experience. To get access to the 14 exclusive emotes, viewers will need to subscribe to the TwitchPresents channel. Great to see, but I suspect there's going to be a good # of ppl weened on the most recent Who revival that will look at some of these eps and go "WTF??" I thought I was an old school Doctor Who fan but after watching some of the old episodes, I'm not so sure. I don't mind the old sets, the hilariously crude special effects, and whatnot, but I can't handle the pacing. I feel like things were padded out a lot back in the day. And I didn't realize how often they'd try to sideline Lady Romana by putting her in a prison or whatever. New Who does a massively better job of giving the companions something to do. The old series do not age well from production value (as well as the attitudes related to women at the time), but there are still stories that work really well despite the campiness, like Caves. Its like Trek TOS - the production is incredibly campy, it wears a very 60s attitude on sexism, but there's still strong sci-fi concepts in there. Romanatavatrelundalarpfireballfireball was kinda like Q, wasn't she. First thing the writer has to do is figure out how to nerf her for the length of the ep. She's like having a second Doctor around in most respects, so yeah. These days they'd probably do better...maybe. There's good and bad, but yeah, lots of three episode stories stretched to fill 5. And they knew it.